Eau Claire, Wis. –The Chippewa Valley LogJam has received a $39,500 Joint Effort Marketing (JEM) Grant from the Wisconsin Department of Tourism and an official check presentation ceremony will be held Friday, May 1st at 2:00pm. Sarah Klavas, the Deputy Secretary of Tourism, will be on hand to present the ceremonial check at the event grounds located at 2302 Nelson Road in Chippewa Falls. "The lumber industry holds a prominent place in Wisconsin history," said Klavas. "We are proud to support this new event as they celebrate their heritage. Brand new events like this draw in visitors and generate a positive economic impact for the entire community." The Chippewa Valley LogJam, a flashback festival featuring interactive art, music, theatre, and performances over three weekends from June 6-20, is a fully immersive experience for the visitor. The event will feature a Wild West themed show, lumberjack demonstrations, beer and bacon tasting, swing and line dance lessons, live music, Steampunk characters and demonstrations, and more. 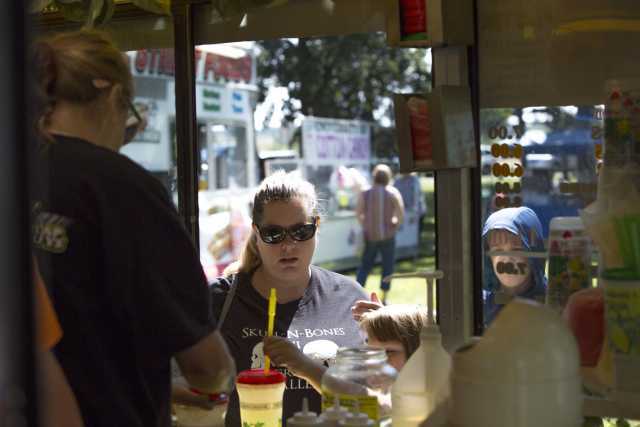 The festival will be held at the former Chippewa Valley Renaissance Faire Grounds in Chippewa Falls, a facility that has been dormant since 2012 when the Renaissance Faire closed its doors. The event will have an estimated economic impact of over $800,000 for the three weekends this summer. Visit Eau Claire is proud to partner with the Chippewa Valley LogJam for this Joint Effort Marketing Grant. Visit Eau Claire effectively markets the Eau Claire area as a destination for conventions, group tour, sporting events, and leisure markets; to promote regional economic growth; to enhance the area’s overall identity and image; to sell fun, promote fun, and most importantly – Have FUN!